The AirRhino still remains one of the favorite for many construction renovators, contractors, mold remediators, disaster restoration outfits. Versatile, portable, suitable for particle, dust, odor air filtration, the AirRhino is must to have in your arsenal of air filtration equipment. For your personal use at work, workplace, or in the office- on top of your desk, work table, work bench, work station. When traveling – in your hotel room, on top of the desk, night table, lamp stand. 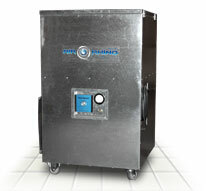 Reduce and filter airborne dust particles, bacteria, virus, pollen, molds, mold spores, etc. Reduce and filter odors, chemicals, gas, perfume fragrance from office and work mates, chemical smell / odor from cleaning products used to clean, disinfect, sanitize your hotel room. Air Tube provides a powerful, yet portable option for users who want clean air that travels. Choose from the Air Tube Supreme, and AirTube Portable all of which feature the unmatched power of impregnated activated MAC-B™ carbon and HEPA filtration in a fully portable unit. The cylindrical shape maximizes air flow, while the all-metal casing prevents plastic off-gassing. 3. message = We are running a digital print shop of 1920 sq. / ft. with 14 ft. ceilings. In the room we have a mild solvent roll printer (Seiko W-64) and a UV flatbed printer (Gerber Ion x). We are looking for an air cleaner that can filter the VOC's out of the air. Please advise and quote us on the appropriate model. Minimum of two (2), but three (3) would be better- our Electrocorp AirRhino 2000 VS Carbon . With three (3) units you can get up to almost 7 air changes of air per hour- once every 9 minutes. With two (2) units the air changes per hour is 4.46 per hour 0r once every 13.4 minutes. What’s in smoke from a wildfire? Smoke is made up of small particles, gases and water vapor. Water vapor makes up the majority of smoke. The remainder includes carbon monoxide, carbon dioxide, nitrogen oxide, irritant volatile organic compounds, air toxics and very small particles. Is smoke bad for me? Yes. It’s a good idea to avoid breathing smoke if you can help it. If you are healthy, you usually are not at a major risk from smoke. But there are people who are at risk, including people with heart or lung diseases, such as congestive heart disease, chronic obstructive pulmonary disease, emphysema or asthma. Children and the elderly also are more susceptible. Many areas report EPA’s Air Quality Index for particulate matter, or PM. PM (tiny particles) is one of the biggest dangers from smoke. As smoke gets worse, that index changes -- and so do guidelines for protecting yourself. So listen to your local air quality reports. Use common sense. If it looks smoky outside, that’s probably not a good time to go for a run. And it’s probably a good time for your children to remain indoors. If you’re advised to stay indoors, keep your windows and doors closed. Run your air conditioner, if you have one. Keep the fresh air intake closed and the filter clean. Help keep particle levels inside lower by avoiding using anything that burns, such as wood stoves and gas stoves – even candles. And don’t smoke. That puts even more pollution in your lungs – and those of the people around you. If you have asthma, be vigilant about taking your medicines, as prescribed by your doctor. If you’re supposed to measure your peak flows, make sure you do so. Call your doctor if your symptoms worsen. How can I tell when smoke levels are dangerous? I don’t live near a monitor. Generally, the worse the visibility, the worse the smoke. One can use visibility to help gauge wildfire smoke levels and approximate air quality. How do I know if I’m being affected? headaches, runny nose and stinging eyes. Children and people with lung diseases may find it difficult to breathe as deeply or vigorously as usual, and they may cough or feel short of breath. People with diseases such as asthma or chronic bronchitis may find their symptoms worsening. Should I leave my home because of smoke? The tiny particles in smoke do get inside your home. If smoke levels are high for a prolonged period of time, these particles can build up indoors. If you have symptoms indoors (coughing, burning eyes, runny nose, etc. ), talk with your doctor or call your county health department. 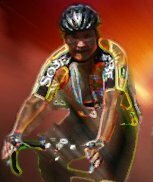 This is particularly important for people with heart or respiratory diseases, the elderly and children. Are the effects of smoke permanent? Healthy adults generally find that their symptoms (runny noses, coughing, etc.) disappear after the smoke is gone. reduce the levels of particles indoors. Make sure to change your HEPA filter regularly. Don’t use an air cleaner that works by generating ozone. That puts more pollution in your home. Prolonged exposure. It is very unlikely that you will ever experience this from forest fire smoke and little is known about its effects. The risks are probably the same for cigarette smoking, and include heart disease, stroke, chronic bronchitis and emphysema (COPD), and cancer. Note: The mixture of particles, liquids, and gaseous compounds found in smoke from wild land fires is very complex, and include compounds that can irritate and even injure the tissues of your mouth, nose, throat, and lungs. During past fires in Florida, an increase in emergency department visits was seen for asthma, acute worsening of chronic bronchitis, eye irritation, chest pains, shortness of breath, and wheezing. Great idea, as well as an added benefit to some of your guests who are particular and sensitive to odors – to have a portable, room, air purifier, air cleaner, air filtration system available for their use while staying at your hotel or motel room. We have affordable, functional, and effective Allerair room and portable, air purifiers, air cleaners at your disposal. Our 4000, 5000, 6000, and AirMedic series could fit the bill. Check them out. Air purifiers, air cleaners, air filtration systems that are portable (can easily be moved around from room to room), equipped with a true HEPA filter (to filter airborne dust, mold spores, and other particulates) and an Activated Carbon filter (to remove / reduce bad odors, musty smell, etc.) can help make a home appealing and fresh smelling to the prospective buyer – it could even help you sell the property. As an added incentive to the client you could even throw the air purifier in as a welcoming gift. This series offers complete chemical, particle and odor removal with more activated carbon than our competitors models in this price range. All units in this class feature a medical-grade HEPA or micro HEPA filter for superior particle filtration. Our most popular model, the 5000 series is an outstanding value with more chemical and odor filtration and more features than our competitors’ models. 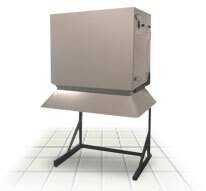 All units in this class also feature a medical-grade HEPA filter or micro HEPA filter for superior particle filtration. A powerful model, at an affordable price. The 6000 series is designed to remove a wide range of indoor air pollutants including chemicals, particles, gases and odors. Ideal for homes or commercial. Models in this class feature 24 to 36 lbs. of activated carbon. 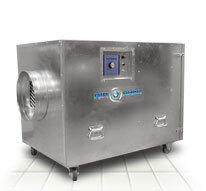 A medical-grade HEPA filter or micro HEPA filter for superior particle filtration. An ideal room air purifier for the home or office. Our most popular model, the 5000 series is an outstanding value with more chemical and odor filtration and more features than our competitors' models. Features a selection of compact air purifiers, ideal for environments where space (height) is minimal, or the user prefers a lighter, more portable machine. Remove, reduce the offensive, bad odor in your home, office, business, work space, etc. with the help of an activated charcoal, activated carbon filter equipped air purifier, air cleaner, or air scrubber. Whether you have to deal with pet odor, cigarette or cigar smoke odor, cooking odors- fish, frying meat or steak, burnt food, paint fumes and new carpet fumes or odor after a recent home renovation, and other odor, chemical gas or fumes problem, we have an air purifier, air cleaner, air scrubber system with sufficient activated charcoal or activated carbon media to assist you in removal or reduction of the offensive nuisance. Why Activated Carbon, Charcoal Filter based air filtration, air cleaner, air scrubber ? The power of activated carbon. What it does and how it works. The technology used in military gas masks. Activated carbon is the substance that keeps military personnel safe from poisonous gasses. It is also used for water filtration. Adsorption is the process where certain chemicals are attracted to activated carbon and then bond to it. The millions of pores in the activated carbon provide enormous surface area to trap these chemicals. The bigger the filter, the more activated carbon, the more chemicals it adsorbs and the longer it keeps on working. An activated carbon filter acts like a sponge. When it is full it can adsorb no more. The more carbon you have the more you can adsorb before changing the filter. Allerair MAC-B™ carbon filters have from 7 to 160 pounds and will last from 9 to 24 months. Most off the shelf air cleaners, air purifiers, have only a few token ounces of activated carbon sprayed on a mesh. It's not enough to have any useful long term effect. Catalysts can be added to activated carbon to enable it to attract non-carbon based chemicals. These special blends of activated carbon are available for AllerAir air cleaners, and air purifiers. Our air quality experts will recommend the right solution to any air contamination problem you encounter. Allerair: using the power of activated carbon to bring you the benefits of truly clean air. Activated carbon, combined with HEPA filtration, UV Light, is the only technology that can safely and economically clean your indoor air. It is the technology used in Allerair air purifier, air cleaner, and air scrubber products.